Yo ho ho! If you’re looking for Pirate Adventures, make sure you take Trunki’s Pedro the Pirate Ship with you. 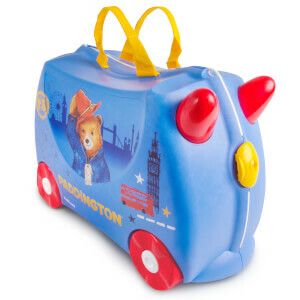 The swash-buckling Trunki is the perfect piece of luggage for any pirate-crazy child. With a black body, red wheels and yellow handles, the Trunki comes with a set of pirate themed stickers to keep every little buccaneer quiet on their travels.